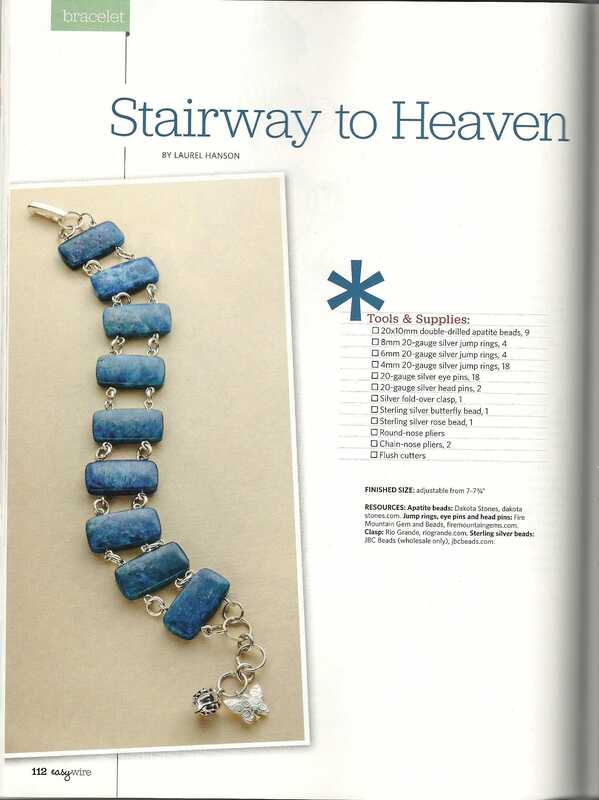 The Stairway to Heaven bracelet was published in the 2012 Easy Wire Magazine, Interweave Press, in Blue Apatite. 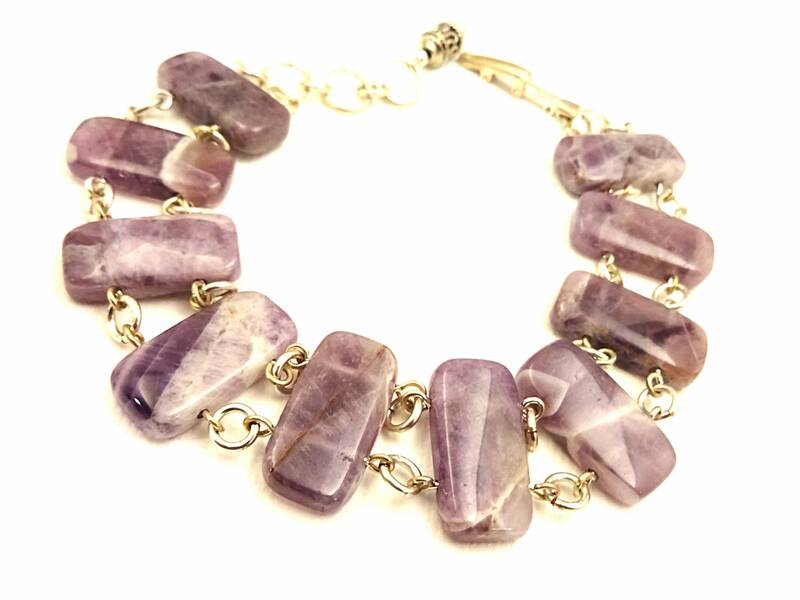 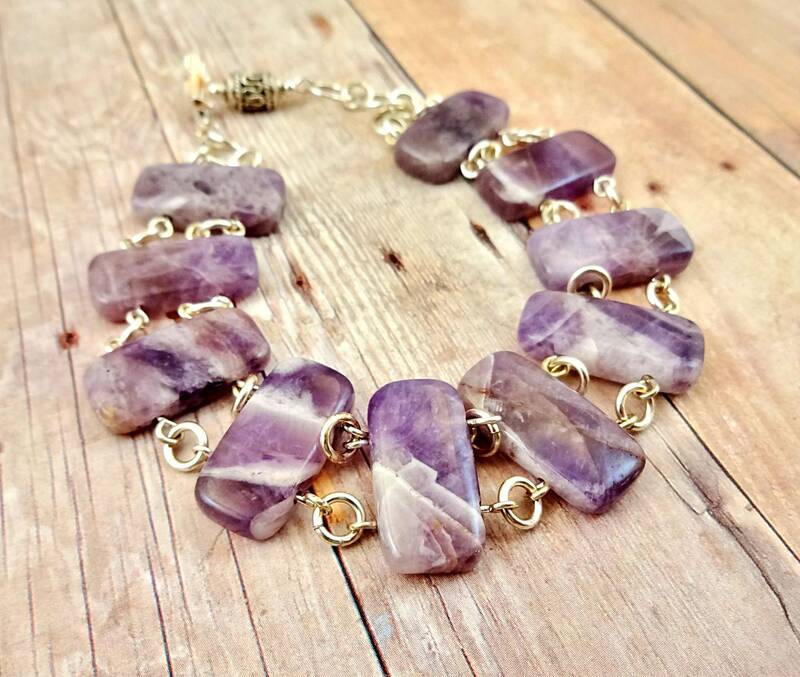 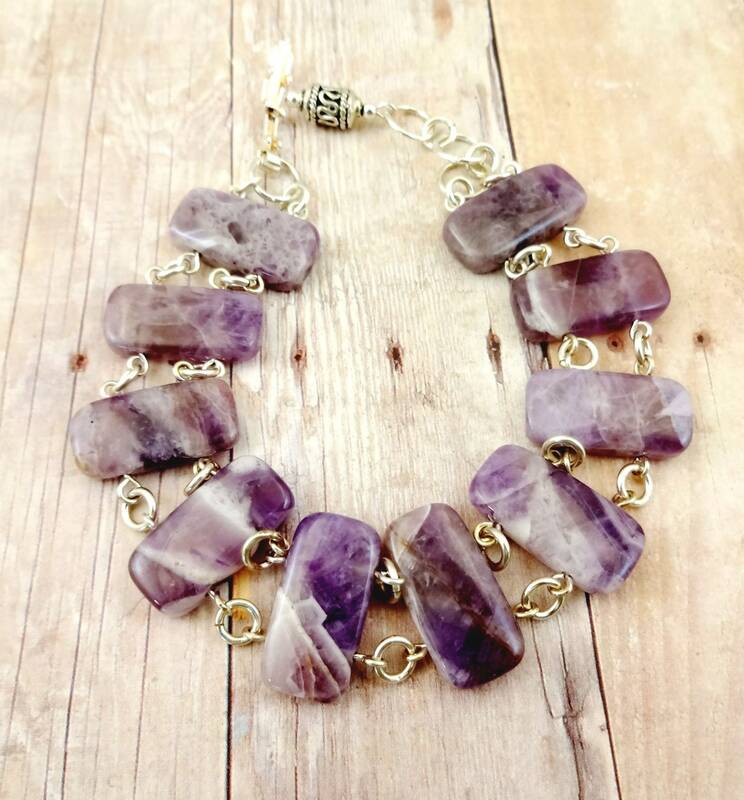 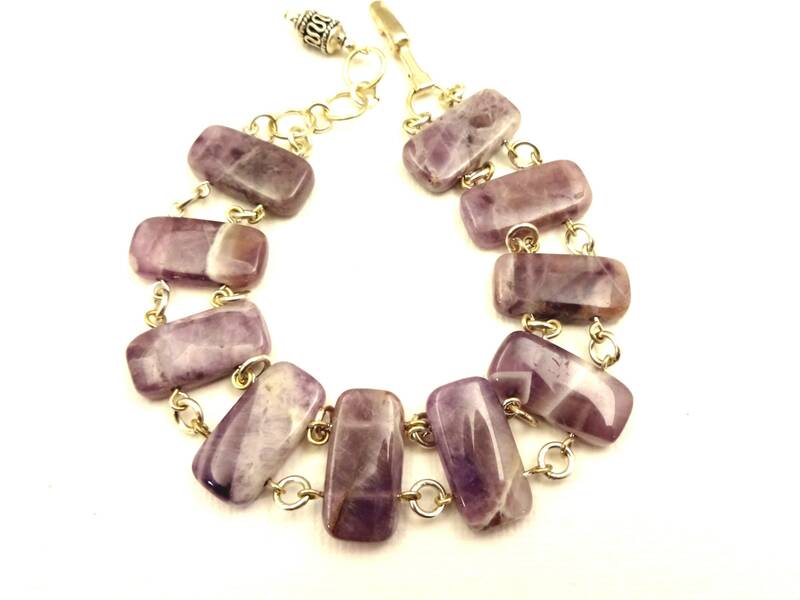 This lovely version of the bracelet features Dogtooth Amethyst double drilled beads that are linked together with silver wire and jump rings. 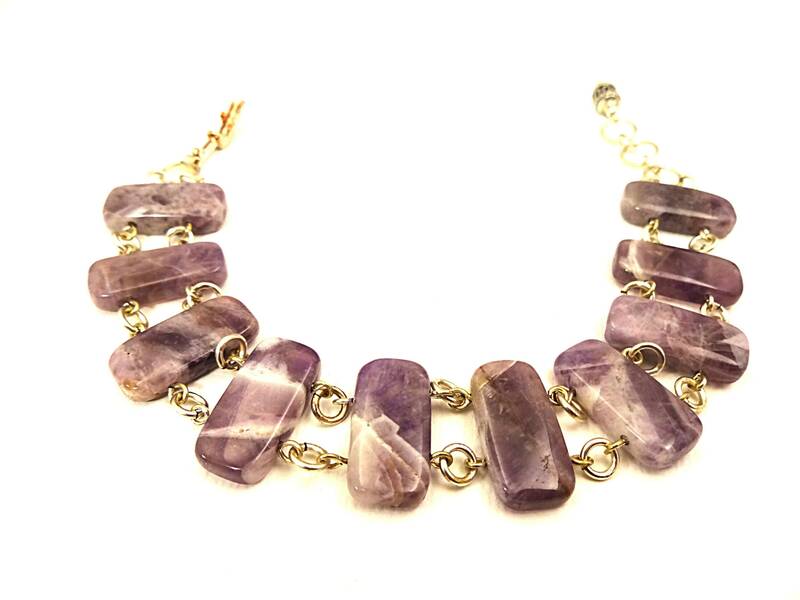 The look is a substantial cuff style bracelet that wraps your wrist with surprising suppleness. 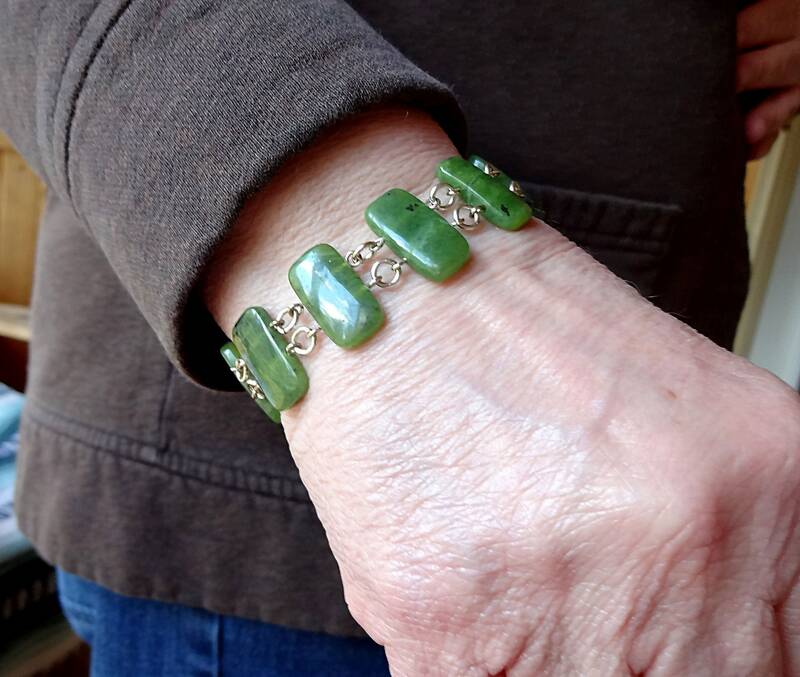 With extra jump rings and Sterling Silver bead dangles, this bracelet is adjustable in length and will fit wrist sizes from 6-1/2 to 7-1/2 inches. 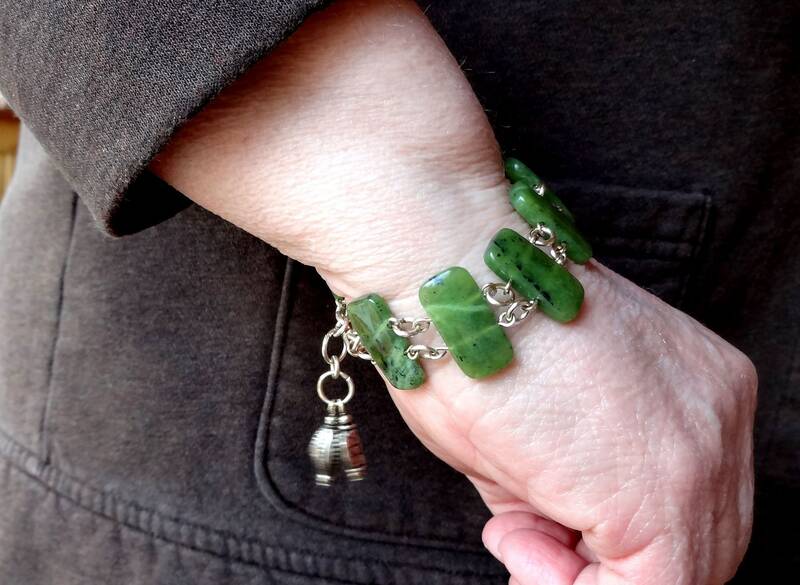 Let me know if you need a larger or smaller size. 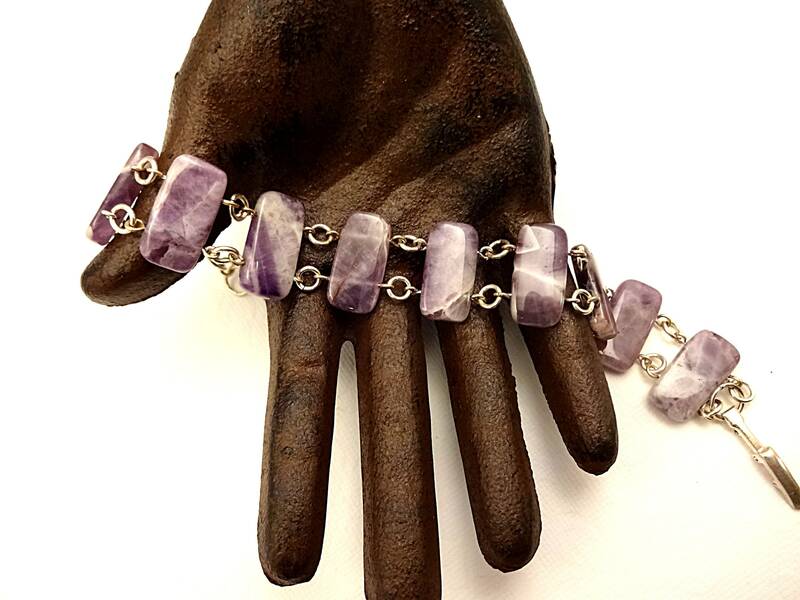 The closure is a silver fold-over clasp. 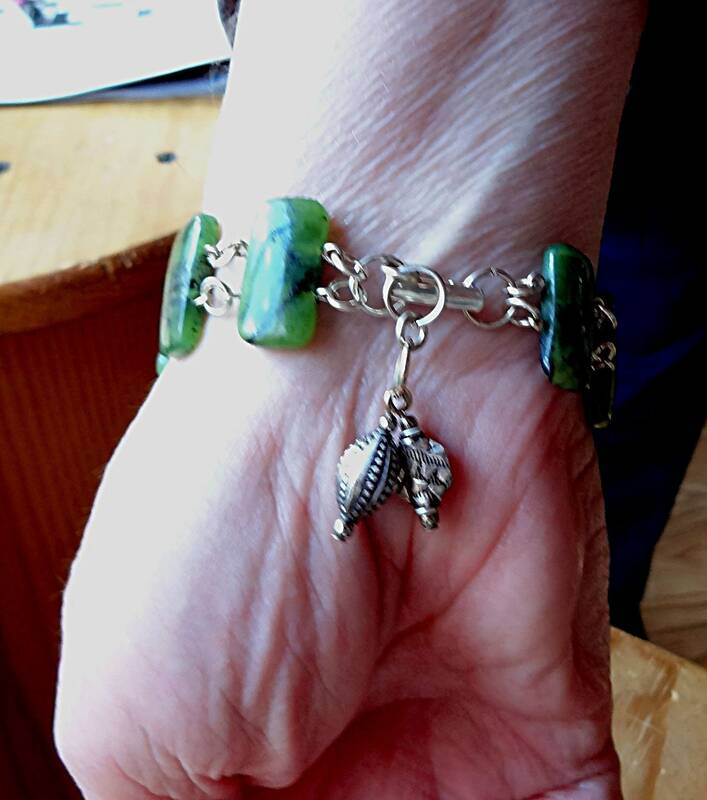 I also have this bracelet in Green Serpentine, Copper Freshwater Pearls, Pink Freshwater Pearls, and Birds Eye Ryolite, and have sold several bracelets in Black Onyx, Lapis and Amazonite as well as the Apatite stones that were published.